It’s an undeniable fact that headphones are growing in great popularity these days. In fact, they became very popular since the dawn of MP3 players. 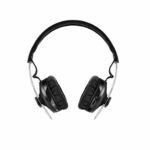 Headphones come in a huge variety of styles and specs, which include sound quality. 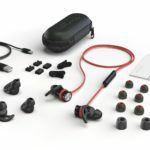 Because of this, the pursuit of finding the most suitable headset becomes more complex since shoppers will have a lot of things to consider aside from the prices and brand names. 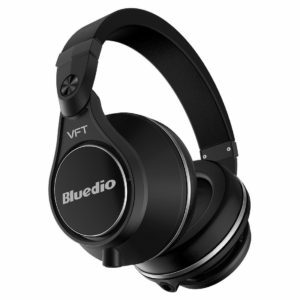 Today, Bluedio UFO is one of the most talked-about headphones due to various good reasons. 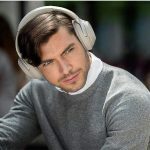 Reading this Bluedio UFO Plus review will assist you in determining whether this set of headphones is worth buying or not. The sound provided by Bluedio UFO Plus is crisp, detailed and balanced this is because of the integrated PPS8 technology. The tune can be amplified significantly through switching on 3D audio. 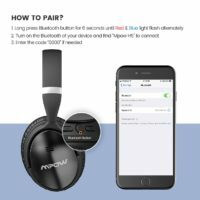 This headset requires three hours to get a full charge and provides a long listening experience of up to twenty-five hours. The Bluedio UFO really sets apart from the rest in this feature. If you are on the go, you can charge this headset for fifteen minutes and you will get three to four hours of listening. Due to 120 dB SPL or Sound Pressure Level, this headphone is capable of providing crystal clear sound. 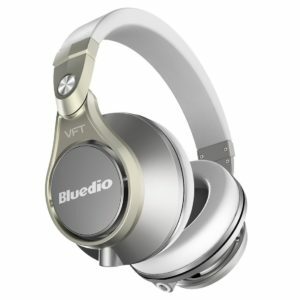 The state of the art Bluedio U Plus headphone has a sleek design. It is comfortable and easy to use than other Bluedio headset. It is sturdy but the weight and size may make this headset a bit tricky to bring around with you and too wobbly for jogging and running. Very Comfortable to Use: The UFO Plus from Bluedio is an above-average comfortable headphone. It is comfortable to use even if you wear it for extended period of time. It is well-cushioned and has sufficiently huge ear cups that fit most users. 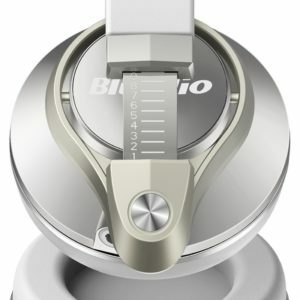 Unique Style: If you see the line-up of Bluedio Turbine headphones, you will find that the Bluedio UFO Plus is very exceptional and unique when it comes to design. It comes with rotating hinges not foldable, and don’t stick out outwards that give this headphone a sleek style. UFO Plus looks like the very popular Beats Pro. It has the same locking mechanism and a daisy chain for the sound cable. Available in white and black color, and this is bigger and set apart from other Bluedio lineup headphones available. 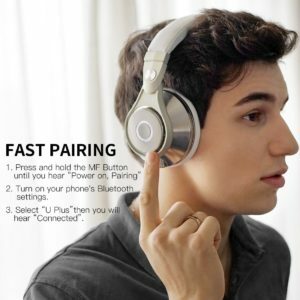 Easy to Use: Of course everyone wants a headphone that is not difficult to use. And Bluedio UFO Plus stands out when it comes to this feature. 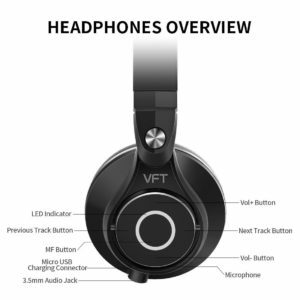 It has better control system than other models of headphones. Control keys are ergonomically set up on the right portion of the ear cup. They offer important functions like call, music, volume controls, and track skipping. Also, they have extra features which allow you to switch EQ effects by means of clicking the skipping buttons, press rewind to switch off the effect and forward to switch on the effect. Long Hours of Listening: Another good reason why I love this headphone is that it provides me longer hour of listening to my favorite music. It has a battery life of twenty hours. But, you need to charge this unit for 3 hours. 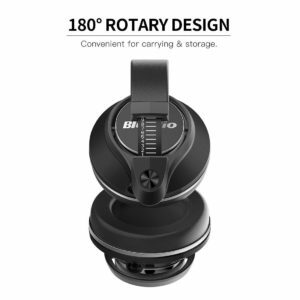 You can also charge this unit while listening to your music and can be utilized without audio cable that makes this headphone a good choice for office or workplace. State of the Art Features: The Bluedio UFO Plus provides a classy and refined performance. It has 4.1 Bluetooth that is low power system offering high performance. This headphone consumes less power and provides a remarkable audio experience. With regards to compatibility, the Bluedio UFO is well-matched with tablets, smartphones and MP3 players. Compared to other expensive headphones available, Bluedio UFO produces a remarkable sound experience. The performance, comfort, technology as well as audio surpass most models of headphones made by popular brands. 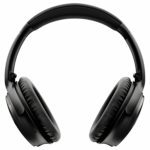 If you are a demanding audiophile, you’ll be pleased with the comfort and audio performance of this headphone without spending a lot. This headphone doesn’t block noise well. This is not a perfect headset to be used in loud settings like in places with lots of low-frequency noise. This is also a little bit leaky during high volume, so they will not be the ideal headset to utilize in a quieter environment. These are benefits and some drawbacks of this Bluedio U Plus. When you read Bluedio UFO Plus review online, you will see that this product receive a high rating and lots of good feedback. In general, the latest Bluedio UFO Plus is a reliable headset from Bluedio Company. Bluedio has manufactured an exceptionally well-made set of headphones that have an amazing array of essential features. On the other hand, relates to price, the Bluedio UFO Plus is relatively lower than other brands with the same features and audio performance.